Set in the East Village of New York City, Rent is about falling in love, finding your voice and living for today. 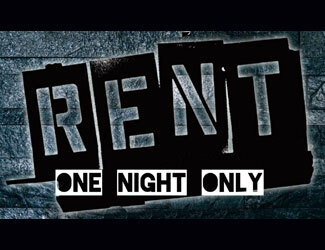 Winner of the Tony Award for Best Musical and the Pulitzer Prize for Drama, Rent has become a pop cultural phenomenon. with songs that rock and a story that resonates with audiences of all ages. Based loosely on Puccini's La Boheme, Jonathan Larson's Rent follows a year in the life of a group of impoverished young artists and musicians struggling to survive and create in New York's Lower East Side, under the shadow of HIV/AIDS. The physical and emotional complications of the disease pervade the lives of Roger, Mimi, Tom and Angel. Maureen deals with her chronic infidelity through performance art; her partner, Joanne, wonders if their relationship is worth the trouble. Benny has sold out his Bohemian ideals in exchange for a hefty income and is on the outs with his former friends. Mark, an aspiring filmmaker, feels like an outsider to life in general. How these young bohemians negotiate their dreams, loves and conflicts provides the narrative thread to this groundbreaking musical. This show is recommended for mature audiences due to adult language and content.